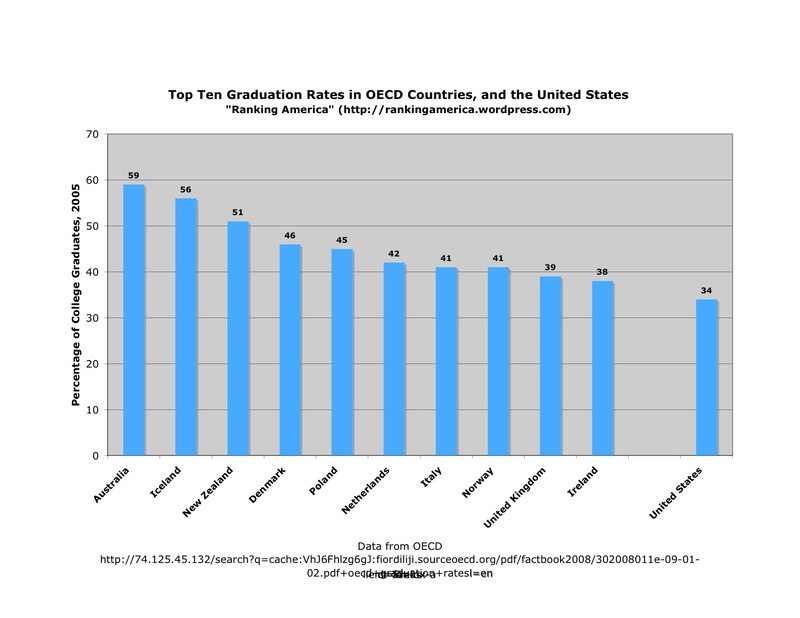 According to the OECD, in 2012, the average American worker worked for 1789.9 hours, which is enough to make the United States rank eleventh out of thirty-seven countries ranked in that category. 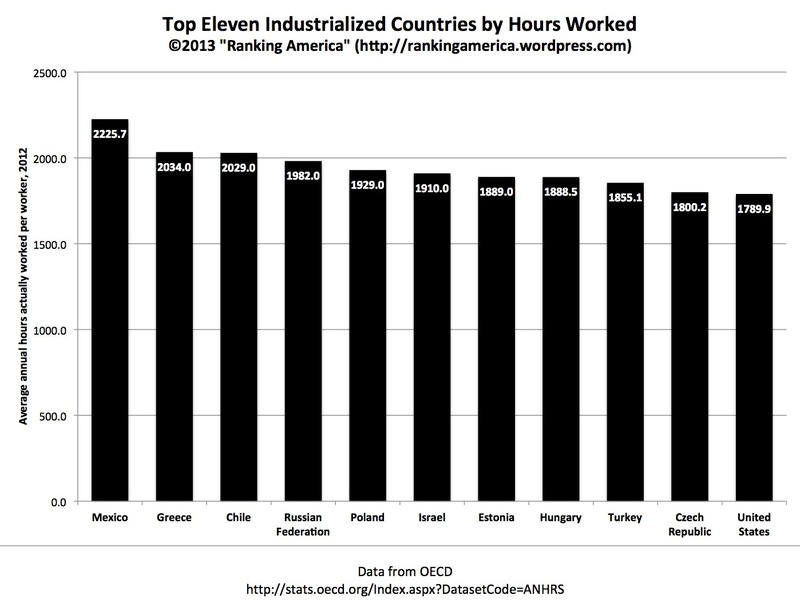 Mexico ranks first, with the average Mexican worker working 2225.7 hours in 2012. 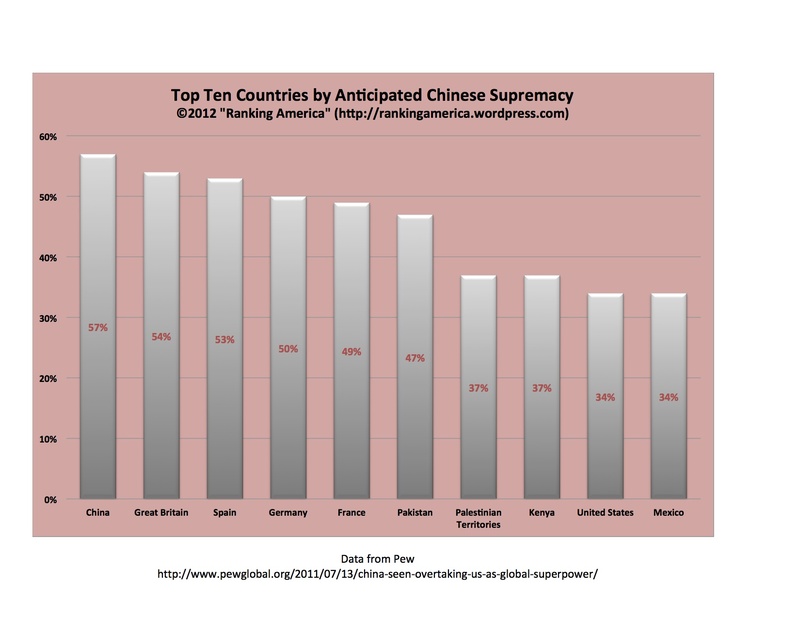 According to Pew, 34% of Americans believe that China will eventually surpass the United States as a global superpower. 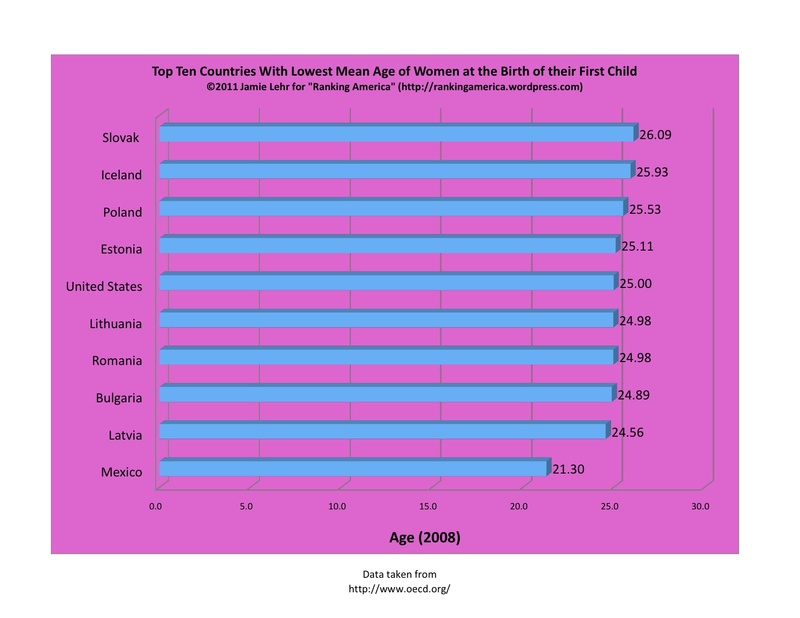 That is enough to make the United States tied for ninth with Mexico out of twenty-two countries ranked in that category. 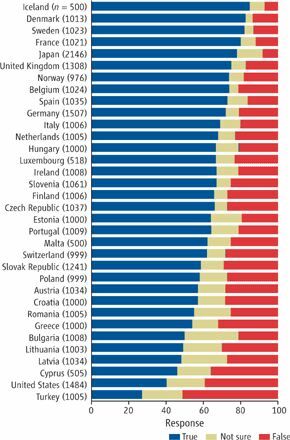 China ranks first, with 57% of Chinese believing that their country will surpass the United States. 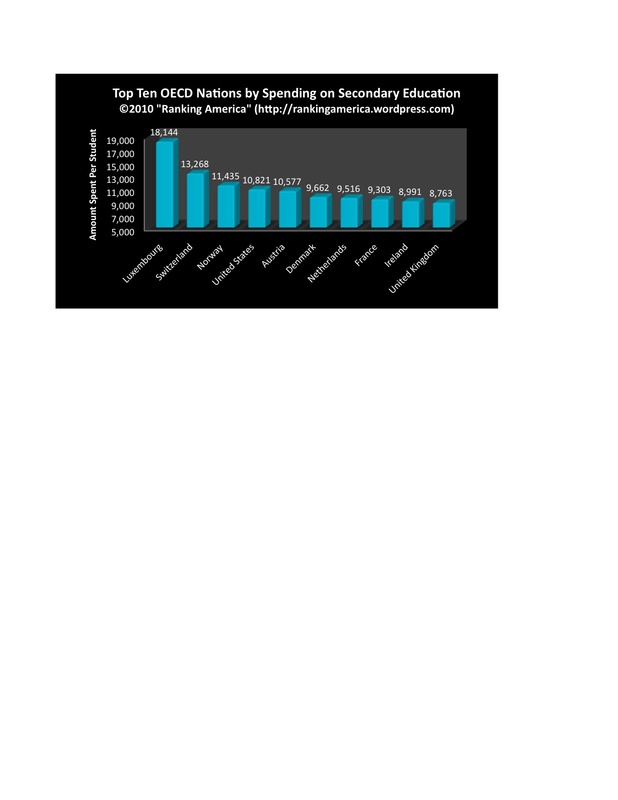 India ranks last, with only 19% of Indians believing that China will surpass the United States. According to the Food and Agricultural Organization of the United Nations, in 2008 there were 28,000 head of mules in the U.S., which makes the United States rank twenty-fifth out of eighty-five ranked countries. 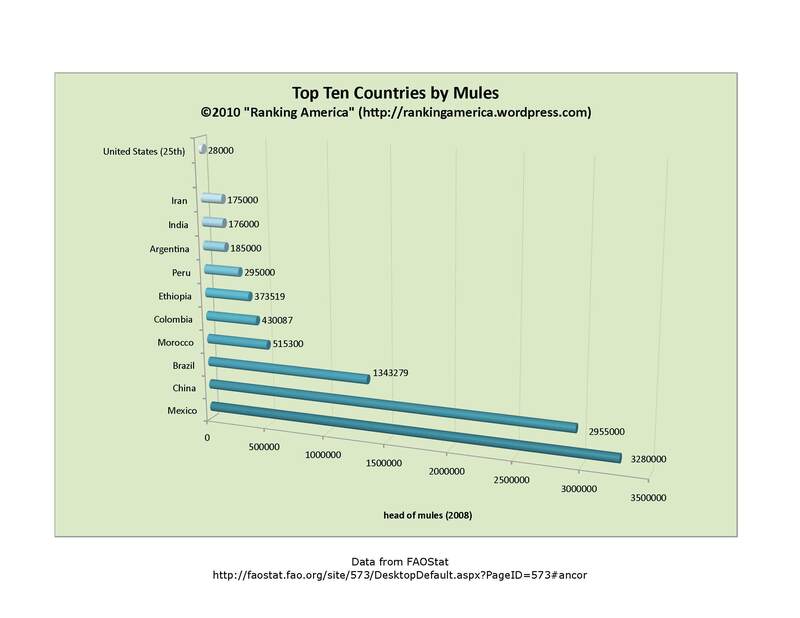 Mexico ranks first, with 3,280,000 head of mules. 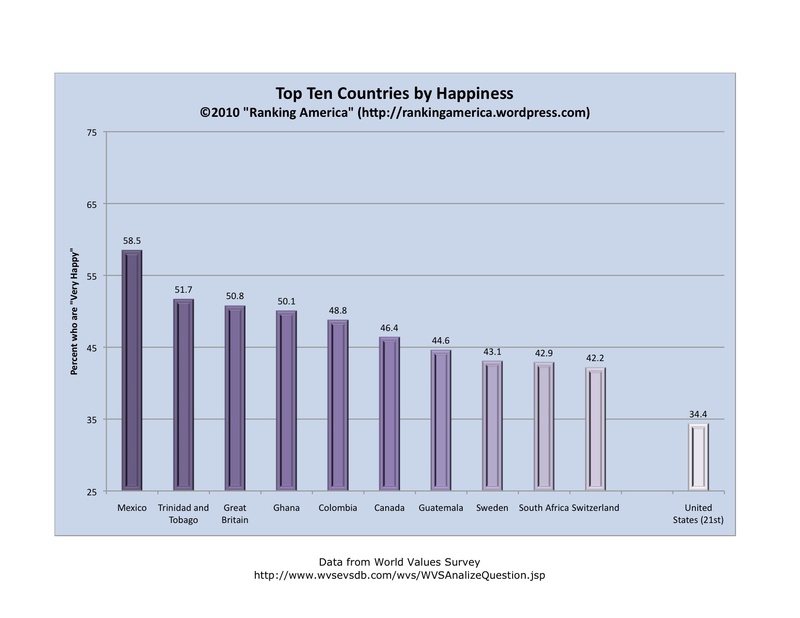 According to the World Values Survey, 34.4% of Americans report being “very happy,” which makes the United States rank twenty-first out of fifty seven countries ranked in that category. 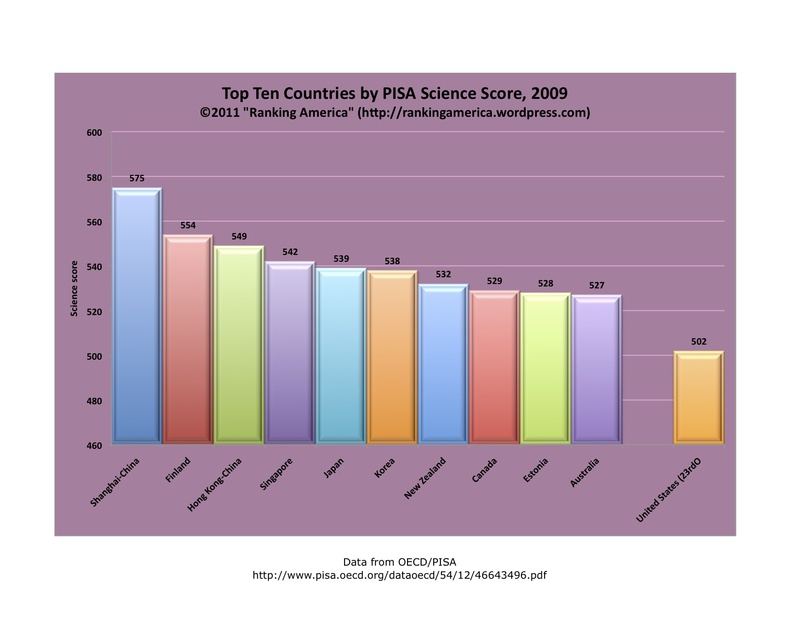 Mexico ranks first, at 58.5%. 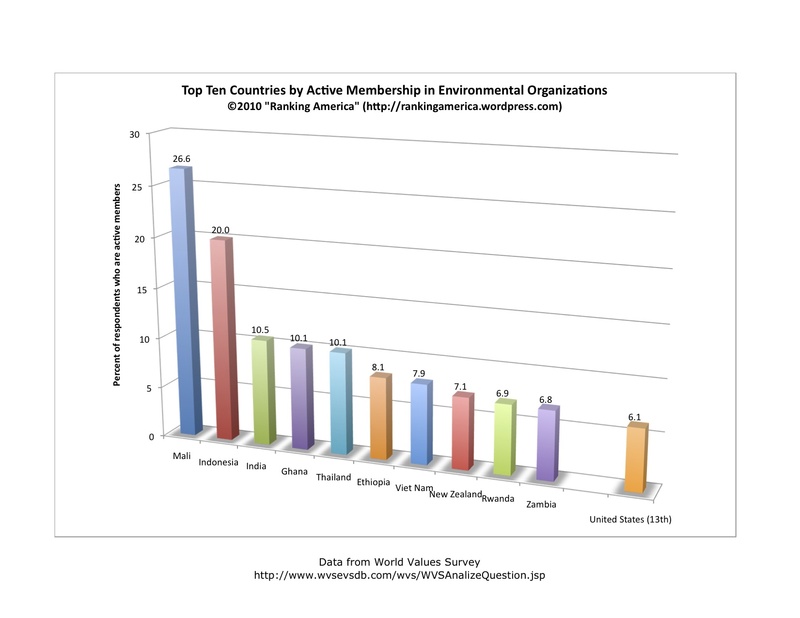 According to the World Values Survey, 6.1% of Americans are active members of one or more environmental organization, which makes the United States tied for thirteenth with Mexico out of fifty seven countries ranked in that category. 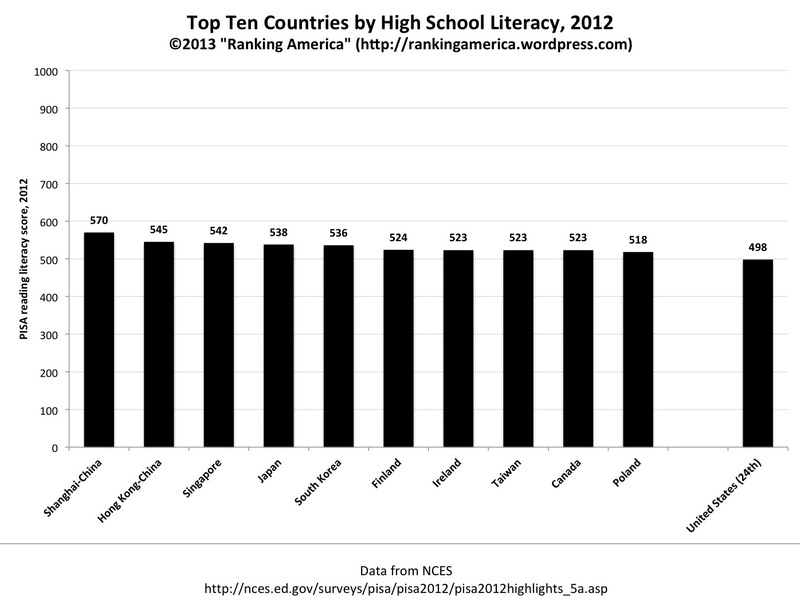 Mali ranks first, at 26.6%.